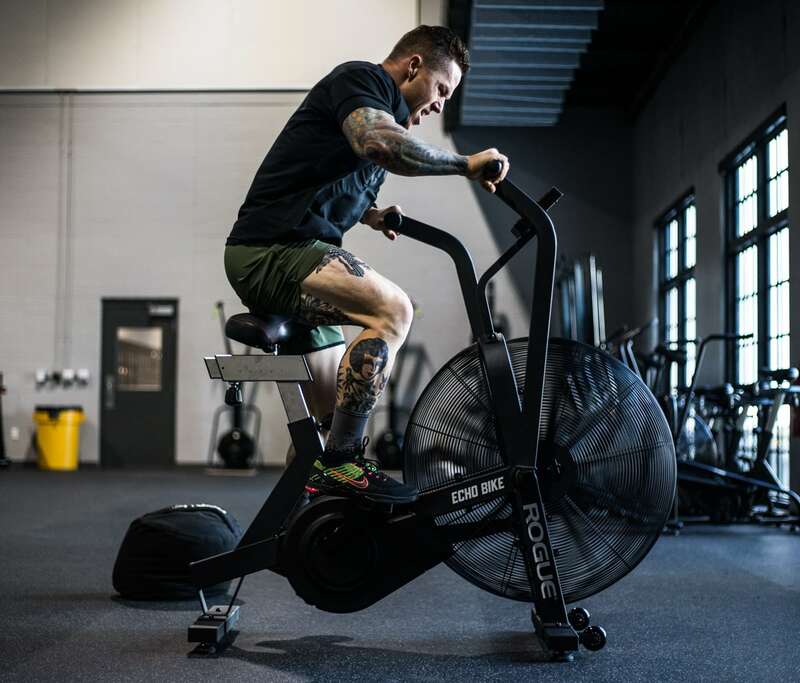 This overbuilt 127 LB unit provides a rock solid foundation for max output bursts, while still offering easy portability around the gym via a set of 1” polyurethane front wheels. 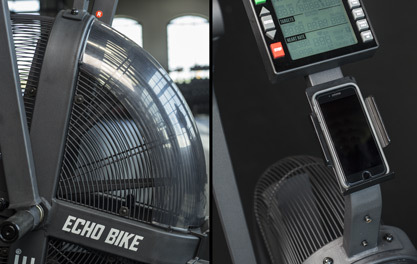 A quiet, belt-driven steel fan blade produces a smooth, consistent ride, while a high-contrast, battery-powered LCD console allows athletes to track intervals, distance, calories burned, heart rate, and more. 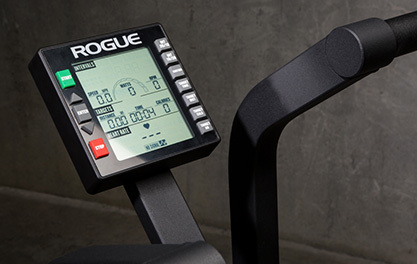 Fast Rogue Shipping: The Rogue Shipping System allows you to track your order from the time you place it to the time it hits your door. Order today, track today. 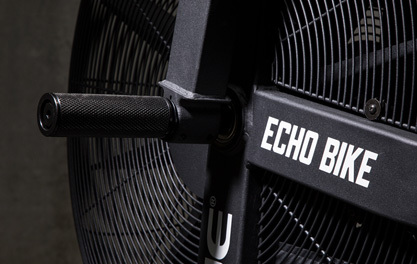 Echo Bike Phone Holder* - Plastic mount that screws onto the mast of the bike. 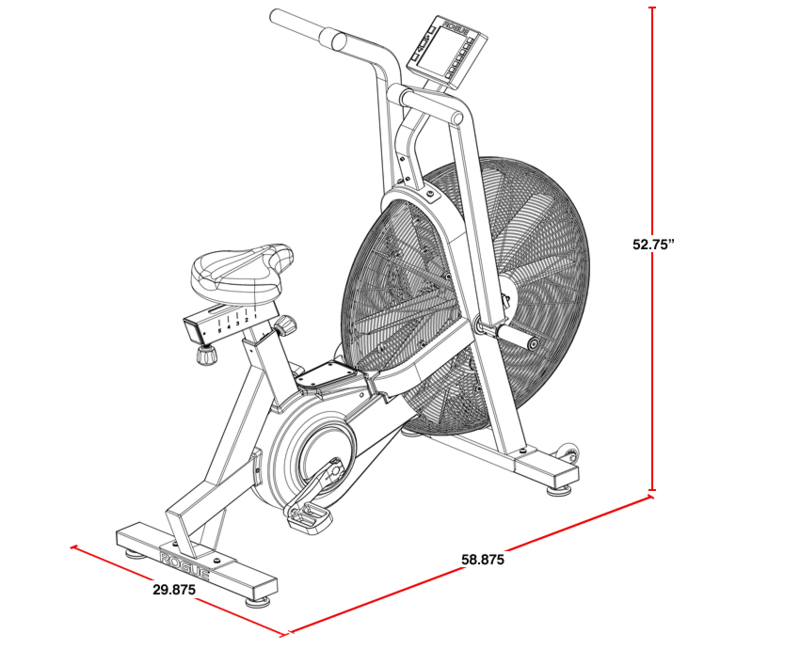 Holder has inside dimensions of 3.5” wide x 6.125” tall with open north/south ends for taller phones. 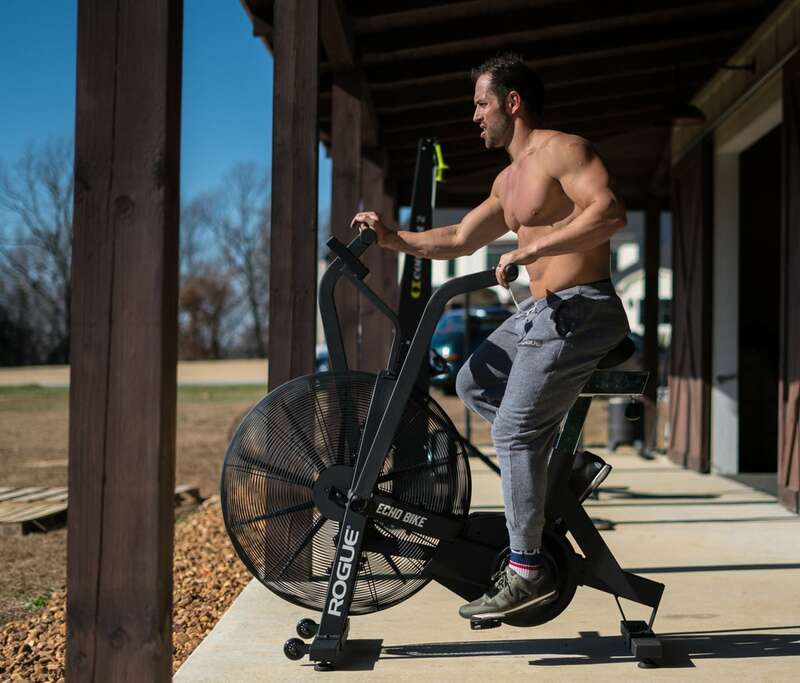 Weighing in at 127 LBS, the Echo Bike is not the wobbling breed of exercise bike. 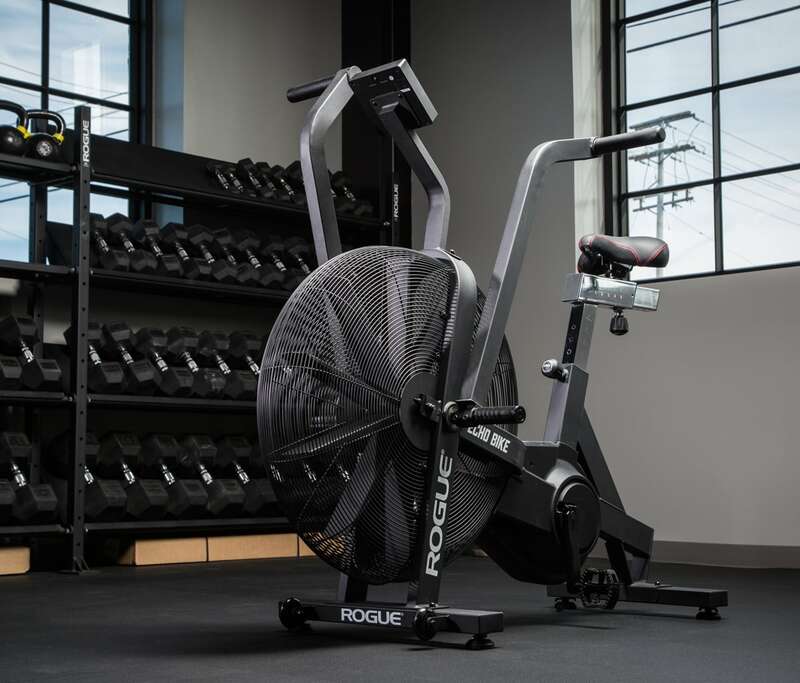 Its reinforced steel construction gives it the rigidity and balance to help eliminate sways and bumps during even max output bursts, and the fan’s steady response delivers a uniquely consistent, smooth riding experience. 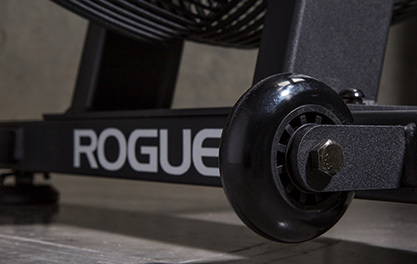 For added stability, we’ve included rubber leveling feet under each base tube. 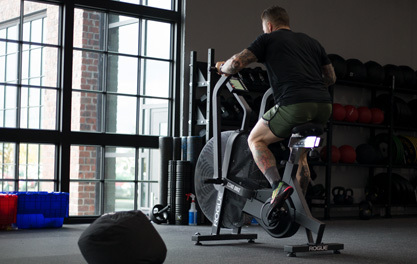 These feet adapt to your flooring and provide added “stick,” helping to level the bike even if it’s not on a level surface. 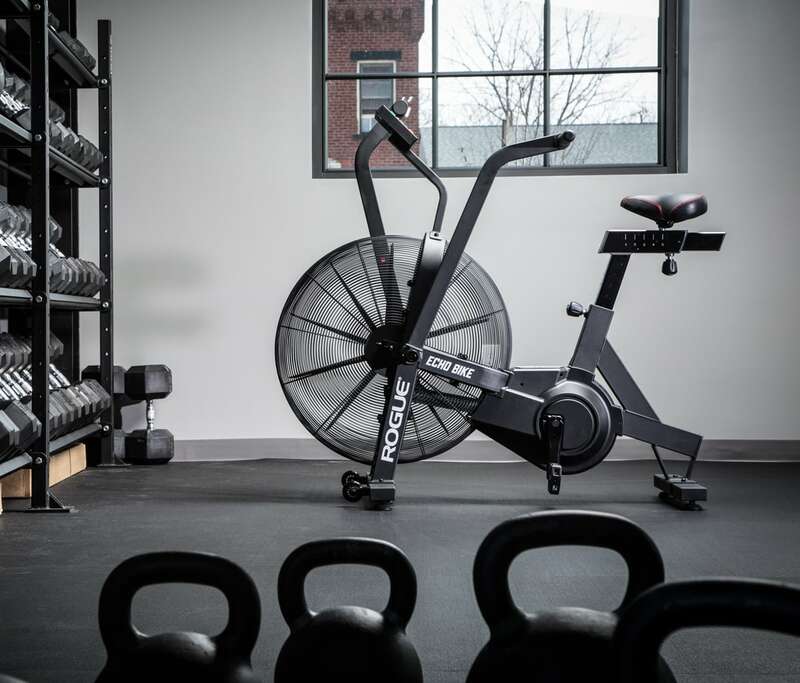 The Echo Bike is built with a range of durable steel tubing (2" x 3", 1.25" x 3", and 1.625" x 3.125") finished in a texture black powdercoat. 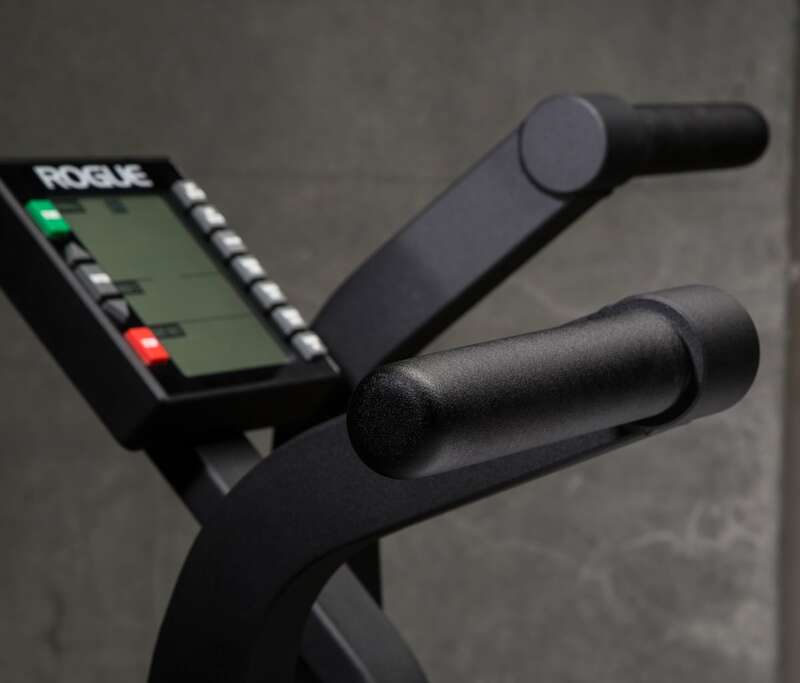 The adjustable padded seat locks into 8 different height settings and 5 front-to-back settings, and the 1.5” diameter rubber-grip handles are welded directly to the bike’s arms for added rigidity. 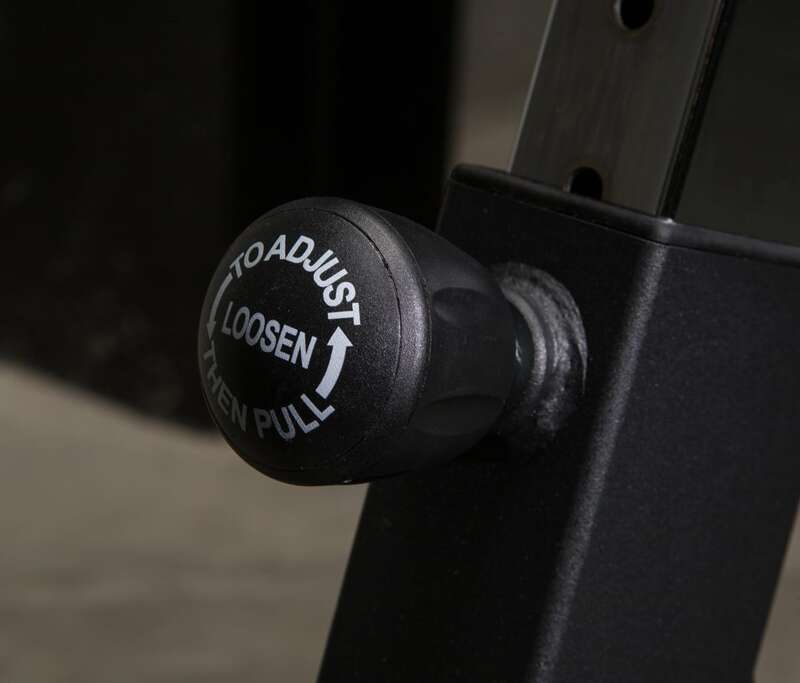 A steel step plate is provided along with knurled 4.5” long rotating foot pegs and metal pedals. 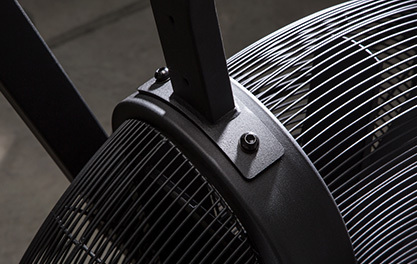 The fan itself is a belt-driven, precision steel blade. 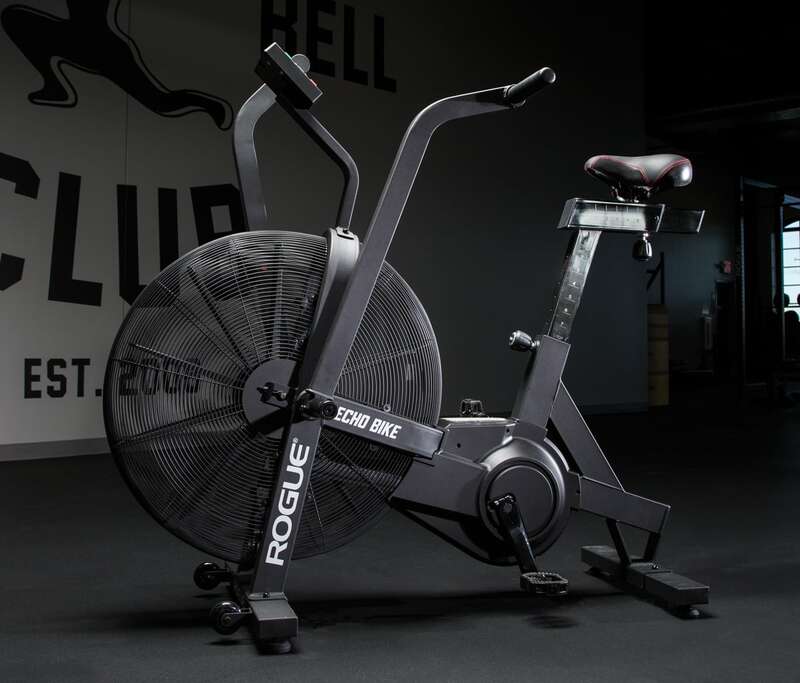 Rogue Echo Bike is rated 4.9 out of 5 by 795. Rated 5 out of 5 by Mizon1 from So So Happy Amazing piece of kit. Faultless! My fitness has improved 10 fold. Thank you! Rated 5 out of 5 by Tomas Drama Borg from Amazing Its a love & hate thing. Its great, so happy when I bought it but 20 minutes in to the intervals, I just want to throw it off the balcony. But when Im done with the work out, I just want to get back at it. Overall, its a great machine. Disgusting to some extent but in the end, one of my greatest love ever.